U.P. being the largest state of India with an area of around two lacs forty thousand square kilometers and population of more than 165 million people makes UPTU as one of the largest technical universities not only in India but perhaps in Asia. Because of its gigantic size and number of colleges affiliated to it and geographic dispersion, it has been sub-divided into five zones with 150-160 colleges in each zone for the ease of management and facilitating inter-zonal comparison and possible internal competition to enhance quality of teaching-learning processes. UPTU envisions to facilitate and nurture the quality of technical education and research in its own premises as well as all affiliating institutions. The total number of affiliated colleges was 49 in the year 2000 which has now gone up to 238 and the University is still growing. 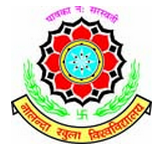 The University Conducts State level Entrance Examination U.P.-S.E.E. for admission to various programs in institutions affiliated to UPTU and some Universities of U.P.. The University conducts central examinations in each semester for all the affiliated colleges and institutions and declares results quickly using technology-enabled systems. At present around 4,00,000 students are enrolled in its various programmes. UPTU was reconstituted as "Gautam Buddha Technical University, Lucknow" and "Mahamaya Technical University, Noida" on 1st May 2010 through amendment of U.P. Govt. vide act no. 05 of 2010, Subsequently U.P. Government again combined the Gautam Buddha Technical University and Mahamaya Technical University with effect from 1st Nov. 2013 vide amendment act 21st of 2013 and reconstituted U.P.T.U. Lucknow. 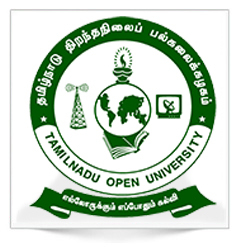 UPTU is currently located in I.E.T. Campus at Sitapur Road in the Capital of U.P. at Lucknow but is in the process of having its own Headquarter building in its vicinity. UPTU also has a NOIDA Centre to facilitate closer academic and industrial interaction around that zone where a prominent cluster of private affiliated colleges exists. As enshrined in the University Act, the University aims to provide and upgrade education, training and research in fields of technical education, and to create entrepreneurship and a conducive environment for pursuit of the technical education in close co-operation with industries. Further, as a very distinguishing feature of its vision, the University aims to make provisions for the advancement of technical education amongst classes and communities which are educationally backward. To fulfill the above broad vision, the University develops flexible and innovative academic programmes and procedures that cater to a very broad range of students with different background, and prepares them to compete at the national and international levels. Apart from academics, the University lays a very strong emphasis on the overall development of a well rounded personality of its students with both professional and emotional maturity to take up the challenges in their chosen profession, and to contribute to the development of society. Smt. Nathibai Damodar Thackersey Women&#..